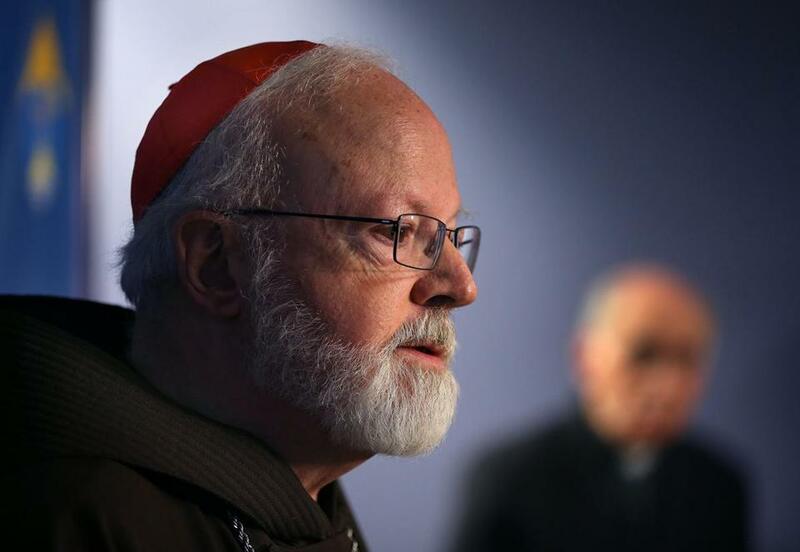 Without naming President Trump, Cardinal Seán P. O’Malley Friday warned against distorting the reputation of the United States internationally in a strong statement that called for respect in the ongoing immigration debate. Although optimistic about the US, “there are institutions and individual voices with the capacity to distort the reputation of this country in the eyes of the world,” O’Malley said in a statement released late Friday afternoon. O’Malley, who has a long history of ministering to immigrants, said he has recently celebrated liturgies with local Haitian and Cape Verdean communities. O’Malley, a top American adviser to Pope Francis, said he hopes the tenor of the immigration debate changes in the United States. He called for protection for young immigrants who have been shielded from deportation by the Deferred Action for Childhood Arrivals, or DACA, program. Earlier this week, a federal judge temporarily blocked the Trump administration’s decision to end DACA. O’Malley also said Temporary Protective Status “is really needed for Haitians, Salvadorans, Nicaraguans and Hondurans.” The program authorizes employment and establishes protection from deportation for hundreds of thousands of immigrants. O’Malley has made immigration advocacy a staple of his tenure as leader of the Boston Archdiocese. Last fall, he urged Trump to extend Temporary Protected Status for four countries enrolled in that program. In February, following two executive orders from Trump that aimed to clamp down on refugee resettlement and immigration, O’Malley underscored the church’s support for immigrants and refugees.That month, he convened a meeting with Muslim and political leaders aimed at coalescing opposition to a Trump immigration order. At that time, the Muslim community was reeling from the announcement of executive orders that temporarily banned refugees and immigrants from seven majority-Muslim countries. The meeting, which came on the eve of a federal court hearing on Trump’s ban, included Governor Charlie Baker and Boston Mayor Martin J. Walsh. Material from the Associated Press was used in this report. Milton Valencia, Travis Andersen, and Lisa Wangsness of the Globe Staff contributed to this report. Danny McDonald can be reached at daniel.mcdonald@globe.com. Follow him on Twitter @Danny__McDonald.